Lavallette will prohibit swimming at one of its bay beaches this season, with officials citing safety concerns as well as the fact that the beach is underutilized for their decision. Following the passage of a resolution at Monday night’s borough council meeting, swimming will no longer be allowed at the Reese Avenue bay beach. Likewise, lifeguards will no longer be posted there. “The overriding issue is that it’s not safe,” said Councilman Michael Stogdill, explaining that activity on the nearby fishing pier has caused some dangerous items – hooks, pieces of metal, etc. – to be found on the bay bottom. Councilwoman Joanne Filippone opposed closing the beach, arguing that if fishing is causing the area to be unsafe, that should be the activity that is curtailed. But her colleagues on council said anglers aren’t purposely discarding hooks, rigs and other pieces of equipment – they usually break off on their own. And the pier’s popularity has grown in recent years. “There’s also the issue of spending money guarding one beach which really isn’t used when we have another beach that is heavily used,” said Stogdill. 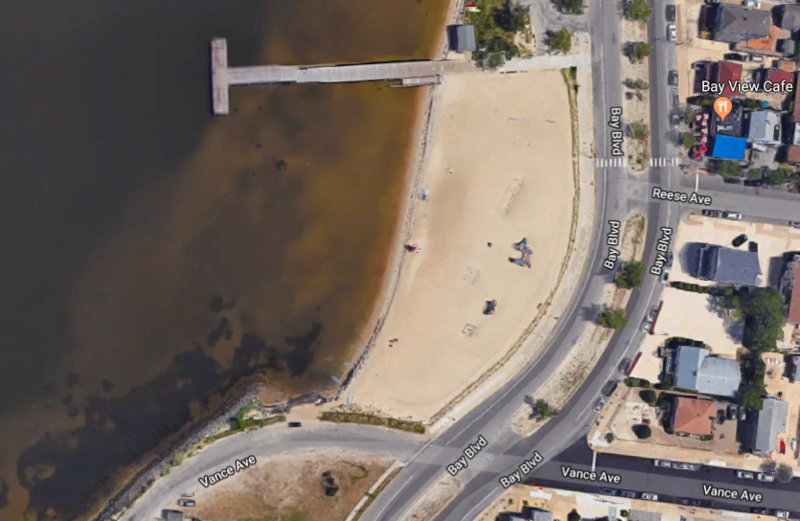 Swimming in Barnegat Bay will still be permitted (and guards will be posted) at the main bay beach at the end of Washington Avenue.